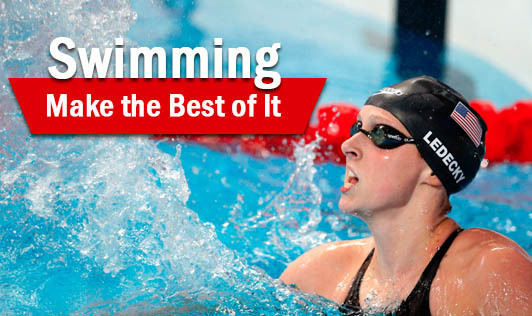 Swimming is one the best physical activities one can do to stay fit. The stroke one uses with their arms and legs while swimming helps tone those muscles and improves upper and lower body strength. The very first advantage of swimming is that it helps you reduce weight and flatten your abdomen. Some of the advantages of swimming are that it reduces the risk of blood pressure, diabetes and heart diseases by keeping your body fit and maintaining your body mass index (BMI). Swimming normalizes breathing, and helps stimulate circulation. It may be good for asthma patients too. We all are aware that there is one big disadvantage of swimming, which is the chlorine content in the pool that can tan your skin. Chlorine disinfects pool water and keeps the swimmers safe from germs. Since water is a very easy mode to pass on any infection, chlorine usage in pools is unavoidable. So, how does chlorine work? When chlorine in water comes in contact contaminants, such as ammonia from urine in the water, it breaks down and neutralizes the ammonia. Chlorine also interacts with organic compounds such as human and animal waste to eliminate health threats. Chlorine water along with exposure to sun will make your skin tanned. Tanning from Chlorine is a very common issue with swimmers. It is just an irritant that can react with your skin and create rashes, dry skin etc. Apart from avoiding the sun, and going swimming between 6 am and 8 am, or 6 pm and 10 pm, there are a few sunscreens that you can massage into your skin before you enter the pool. Every 20 minutes, apply the sunscreen and then get into the pool again. There are creams available that can be applied at night before you go to bed to help reduce the effect of a tan. Once you are out of the pool, wash off thoroughly with a mild soap/body wash. Wash your hair irrespective of whether you’re wearing a swim cap or not. There are pre -swimming lotions and gels available too, that can help you tan less. If you have a severe chlorine infection or sunburn, do not get into the pool for at least 2-3 days till the infection reduces. Most pools have their pH checked and it should be at a pH similar to human tears, at about 7.2. Swimming is a wonderful exercise for pregnant women. 30 minutes of swimming daily is equal to 1 hour of aerobics exercise. It is considered safe for a pregnant woman. Nursing mothers can make a slow start. You can start when your child is 3 months old. It will help you reduce weight and shape up. It’s good for your child to start learning swimming at a very young age, as it helps them get over the fear. Once they learn swimming in a pool,you will see how they pick up other water sport activities with ease. The benefits of swimming are plenty. Take the above precautions to beat the tan, and if you’re pregnant and considering swimming, talk to your doctor before you begin.